Colin Quinn is doing a Jerry Seinfeld directed/produced one-man play called "Long Story Short". I'm not normally a "play guy", but this is awesome. Its being broadcast by HBO as well. He basically goes through the history of the world from the beginning of recorded time to now, in 1 hour and 30 minutes... While carefully making sure to make fun of every single culture and period along the way. 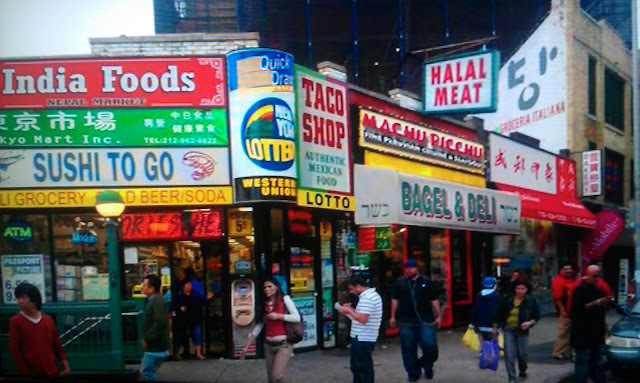 Its summed up in this screenshot of NYC, portraying the traditional melting pot image of the United States.